However domesticated our houses appear, they are wild beyond imagination. Look down in the basement, up in the attic, under the floorboards, and even in the showerhead, and you'll find life everywhere. Biologist Rob Dunn and his team have done it in homes worldwide, and they found nearly 200,000 species! 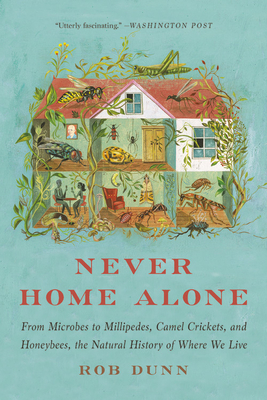 In Never Home Alone, Dunn introduces us to these tiny tenants and shows us how -- in almost every case -- they make our lives better, and explains why trying to eradicate the bad ones just makes our lives worse. No one who reads this engrossing, revelatory, and just plain fun book will look at their home, or the life in it, in the same way again. A New York Times Book Review's "Editor's Choice"